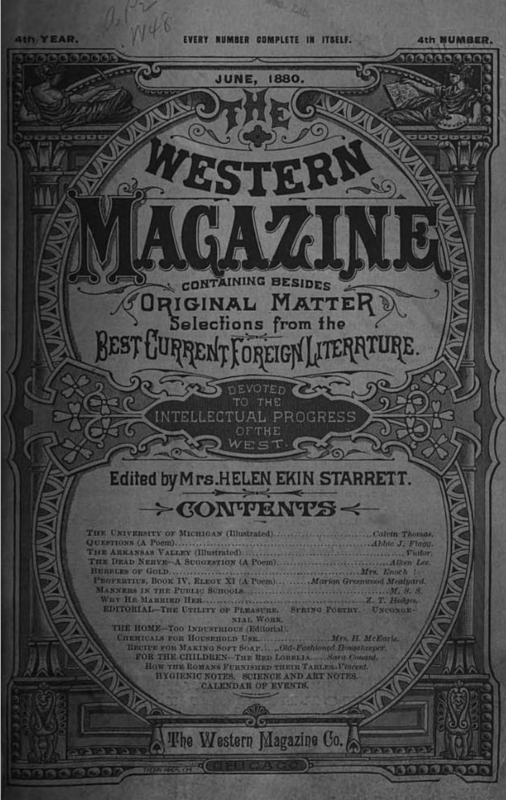 The Western Magazine; Containing Besides Original Matter, Selections from the Best Foreign Literature. Devoted to the Intellectual Progress of the West. Edited by Mrs Helen Ekin Starrett. In January of 1880, the Helen and William Starrett returned Lawrence, Kansas to pack for their relocation to Chicago. Their courage and optimism are admirable, even today. The Western Magazine had seen moderate success in Omaha, but was hardly a sure thing, so their decision to take a chance on the unknown was brave. A family friend had offered them the use of his fully-furnished, yet unoccupied home in the Highland Park suburb of Chicago. The seven barefoot farm kids from Kansas were in for a whole new life. William’s sister, Annie Starrett, went with them from Kansas. Over the years, Annie had become more of a second mother to the children, and though she was not as patient or capable of the same unspoken authority over the kids, they adored her. In later years, more than one of the Starrett children remarked at what a hard time they gave her, and that she must’ve been utterly exhausted by them. But they all loved her unconditionally. Port Clinton Avenue School, Highland Park, IL. 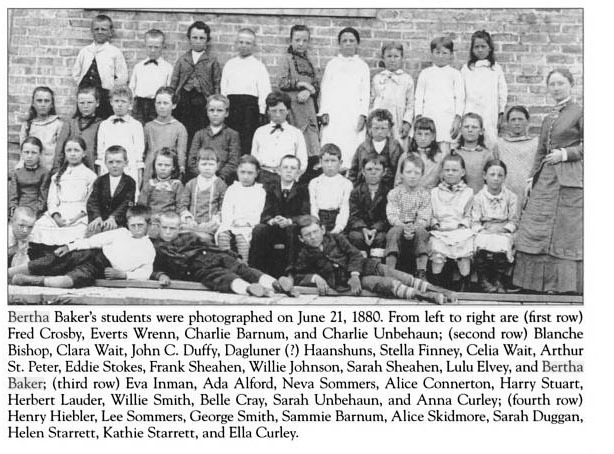 My great grandmother went to school here, and is probably in this picture somewhere. The house in Highland Park was fancier, and filled with more cosmopolitan furnishings than anything they’d known in Kansas. Helen and William took an early train to their Lakeside Building offices every morning while Annie stayed home with Goldie and Willie. Katherine and Helen attended Port Clinton Avenue School in Highland Park, and Theodore, Paul, and Ralph enrolled at Lake Forest Academy. Historical photograph from the book, Highland Park, Settlement to the 1920s by Julia Johnas, from the Images of America series, p.19. See that little short girl in the back row, third from the right? That’s my great grandmother (you may remember her from earlier posts as “Garma.” Next to her, (second from the right, back row) is her older sister, Katherine. After a few years, they bought a place of their own in the Kenwood area of Hyde Park, and, for a while, they were content. By the age of forty, Helen was one of the Midwest’s leading voices in the field of Social Science and women’s educational issues. She was in demand as a lecturer and was quoted extensively in the media. In 1880, Helen’s mother, Esther, was also living with the family in Highland Park. Esther seemed to have travelled between her daughters’ homes after her husband’s death in 1869. Between 1879 and 1881, Mrs Ekin lost three of her children (Dellie, William, and Annie) to illness. It’s unclear how much time she spent with her Starrett grandchildren, but what was clear was that they didn’t like her very much. Much of Esther’s life is shrouded in mystery and contradiction, and undoubtedly, this factored in to the way her grandchildren remembered her. 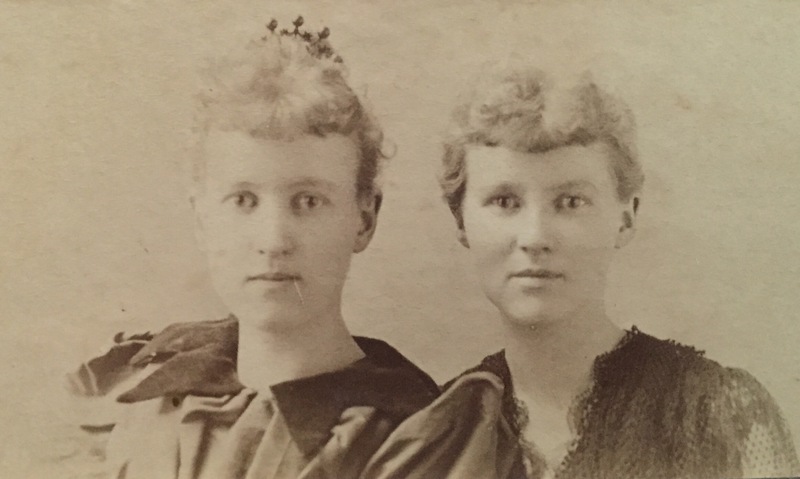 By January of 1883, Esther had returned to Ohio to be closer to another of her daughters. She passed away from what appears to be complications from a stroke and was buried in Xenia, Ohio, in the same plot with her youngest child and only son, William. Helen was active in Chicago’s emerging “club” scene. She was quoted extensively in the early 1880’s as having said, “there is no more significant sign of social progress than the spread of the literary and social organizations known as clubs.” Her statement referred to the growing trend of women’s clubs, art clubs, social science clubs, or study clubs. For generations, “women’s work” and women’s lifestyles had been incredibly isolating. 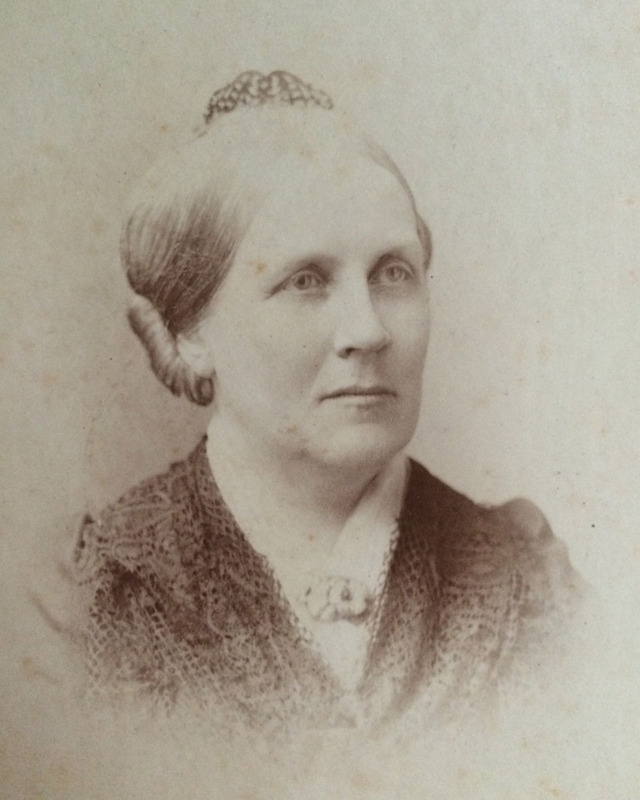 With more and more focus on education, but no employment or other intellectual stimulation for women after completing school, Helen was advocating for a partial solution to the problem. Theodore, Paul, and Ralph attended Lake Forest Academy, first as day students, then as boarders. 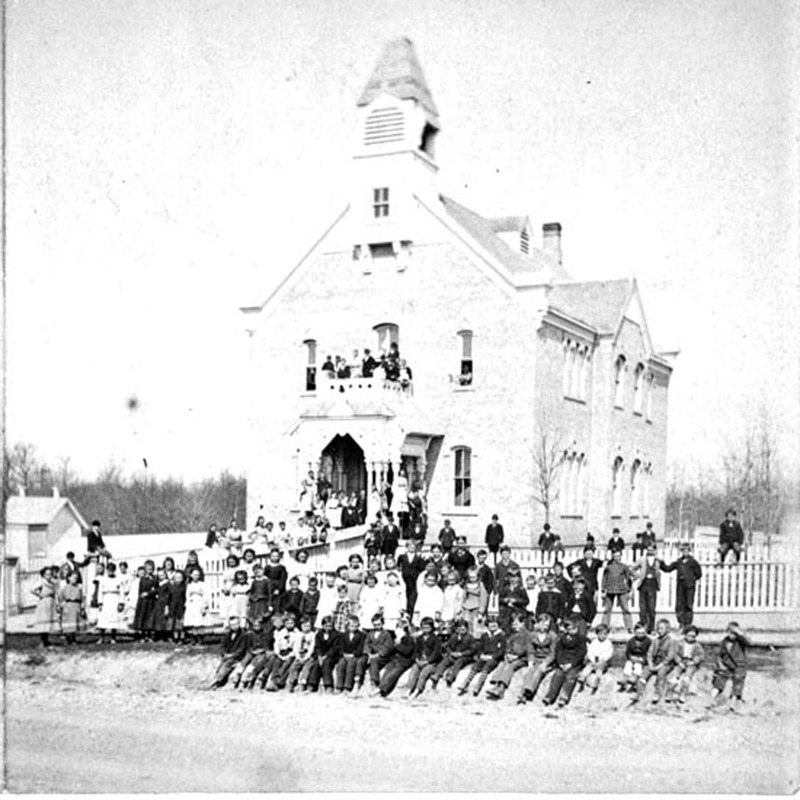 The school is still in existence today. As always, education was important to Helen, and although they never had any extra money, she always found a way to pay for her children’s tuition—whether they liked it or not. With tax debt adding up on their still-unsold house in Lawrence, their finances continued to plummet. When he wasn’t in court, William was travelling back and forth between Chicago and Lawrence, desperately trying to save their house from foreclosure. While on the train, he did what he loved best: he read, studied, and wrote. In 1882, The Western Magazine merged with the Alliance, and became the Weekly Magazine. 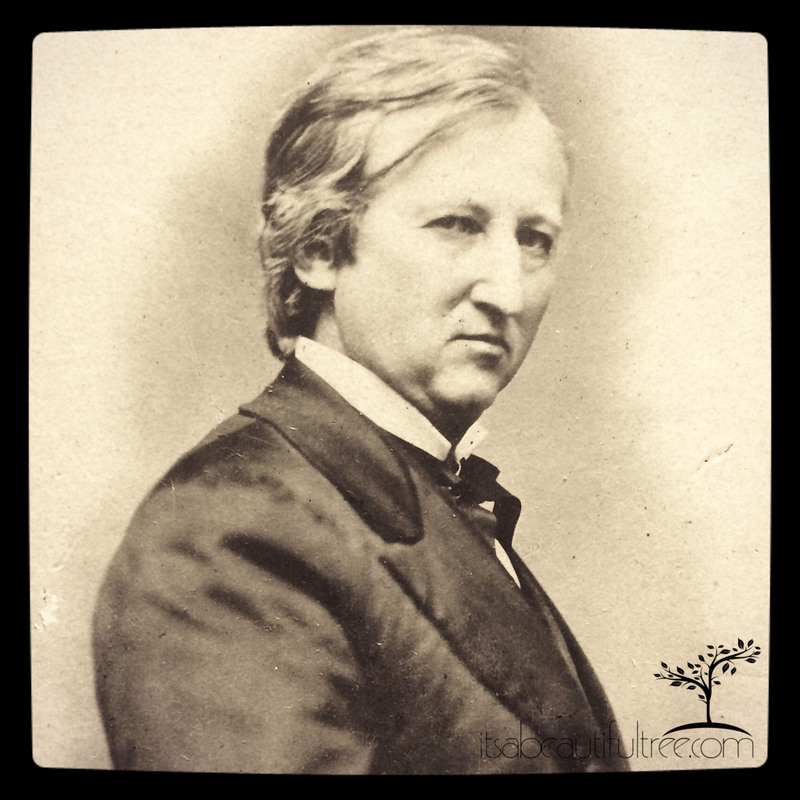 Circulation increased, and the publication found additional financial support in prominent businessmen like George Pullman, CB Farwell, and Marshall Field. In the merger, the magazine unknowingly continued the employment of the Alliance’s business manager (the business and editorial sides of the magazine were completely separate). Although the publication received high praise from virtually all its critics, the accountant had the books in such a mess that by 1886, The Weekly Magazine folded. Advertisement for the Kenwood Institute at 5001 Lake Ave in Hyde Park, Chicago. The school started out small, but within a few years, had a significant enrollment. Once again, Helen found herself with no income of her own, and time on her hands. She was never one to sit still—she HAD to be active all the time. But, she had a plan. Not keen on putting their home in jeopardy, Helen return to teaching, and accepted the leading position at the newly forming Kenwood Institute. At heart, she had always been a teacher, so this was a natural segue for her. She threw herself into teaching, writing and lecturing, and worked towards women’s and domestic rights reform. Almost right away, the school became on of the most celebrated classical schools in the country, with graduates going off to Vassar, Smith, and other well-known Universities, without even having to take an entrance exam– Mrs. Starrett’s name on a girl’s transcript was enough to ensure admission. Scoville Place, in the Kenwood area of Hyde Park, Chicago, Illinois. Scoville Place was the only property in the area that was a rental property during the 1880s. The Starretts opened the Kenwood Preparatory School for Girls in the mansion. 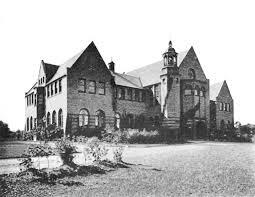 It was the only non-public school in the area and catered to the well-to-do families of Hyde Park. The classical school took both boarders and day students from kindergarten to college preparatory age levels. Regardless of Helen’s optimism and determination, William was still under immeasurable stress, and his health spiraled into decline. They had already filed for bankruptcy in Kansas, and with no buyer for their property, the house in North Lawrence went into foreclosure. The experience had a profound effect on William, and he began to suffer from fits of “brain trouble” that were possibly the first signs of dementia, Alzheimers, or possibly some sort of neurological issue that had begun to disrupt his thinking processes. The oldest boys made a joint decision to drop out of school and find jobs to contribute to the family income. Theodore was 18, Paul was 16, and Ralph was 14. They never went back. Helen probably never got a chance to get really angry over the boys’ decision, because in the midst of the chaos, William was diagnosed with pneumonia. In fewer than two-weeks, Helen found herself a single mother with seven children. Three days after his 53rd birthday, William Aiken Starrett passed away in the family home in the Kenwood area of Hyde Park, Chicago. As most women of her time, Helen kept her emotions to herself. Outwardly, she remained a strong and independent woman. But on the inside, she must’ve been heartbroken. William’s health had been a source of anxiety for her, and she watch him decline before her eyes before suffering an illness that took him away quickly. They had been childhood playmates in Pennsylvania—and had literally grown up together. He had sought her father’s counsel as a teen, come to Ohio to marry her, made her his equal partner in life and work, supported her dreams, and given her seven beautiful children. And suddenly, he was gone. 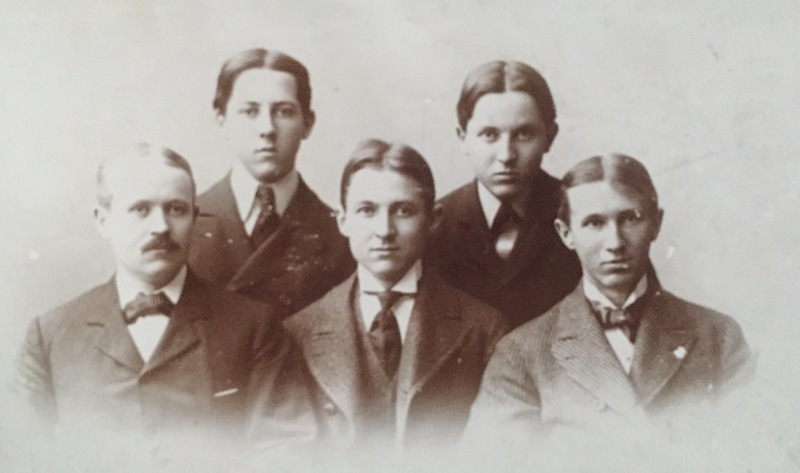 The Starrett Boys: Ralph, William, Theodore, Paul, and Goldwin. Undated photo ©Julie Dirkes Phelps from Helen Starrett Dinwiddie’s personal photo album. The Starrett Girls: Helen and Katherine. Undated photo ©Julie Dirkes Phelps from Helen Starrett Dinwiddie’s personal photo album. With no other option than to go forward, Helen and her children did just that. The seizure and subsequent sheriff’s auction of the Kansas property was eclipsed by the success of the Kenwood Institute. Almost immediately, her school was named among the best classical schools for girls in the Midwest. Her editorial writing had found a wide audience since being published in book form—two of them making the Top Books List of 1887, and many of her essays were being published and quoted in nationally circulating magazines. Except from “The Future of Our Daughters” reprinted in one of the many newspapers following its publication in The Forum Magazine in the October 1890 issue. Although she was now on her own for the first time in her life, her parents had prepared her–and her husband had supported and encouraged her throughout her life. She would now take the reins and do the same for other girls. Photo ©Julie Dirkes Phelps from Helen Starrett Dinwiddie’s personal photo album. For the first time in her career, Helen was truly alone. She was on her own. But, unlike thousands of other women in her same situation, she was capable of supporting herself and her children. She would make it her life mission to ensure that all women were given the opportunity to stand on their own two feet. A claim shanty near Desmet, South Dakota. The shanty that Charles Ingalls built was probably very much like this one. 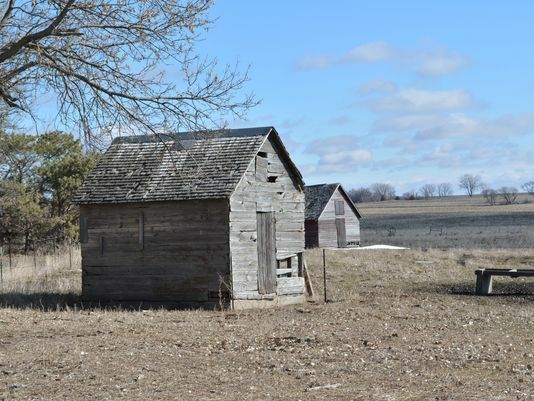 This shanty was added to the National Register of Historic Places in February of 2015, and still stands, 135 years after it was built, on the Drake Family property in what was once Dakota Territory. At the end of 1879, the Ingalls family arrived in Dakota Territory for Charles’ new job with the railroad. Once again, Caroline set up the family home—a one-room shanty near Silver Lake. She made curtains to create a little privacy in the small and cramped shack. Though she was near other women in the railroad camp, her life was lonely, and the frequent moves, economic instability, and endless cycle of exhausting and demanding domestic duties for her family of six was undoubtedly starting wear on her. Now forty, she had a 14-year old child with special needs, a 12-year old daughter who was hell-bent on doing things her own way, a small, frail 9-year old daughter, and a 2- year old toddler. Needless to say, her hands were full. Frontier railroad camps were filled with transient workers who were dangerously rough, and often violent. Riots, fights, and even murders were not altogether uncommon, so, unlike their fictional counterparts, the Ingalls girls would’ve spent the majority of their time at the camp inside, under the close care of their parents. The Surveyor’s House. Photo ©The Laura Ingalls Wilder Memorial Society and Leslie A. Kelly, from the Herbert Hoover Presidential Library and Museum. When construction cleared out, Charles made a deal with the railroad to guard the tools and machinery over the winter in exchange for the use of the surveyor’s house. By staying, they unintentionally became the first residents of the new town of DeSmet. That winter, Caroline took in boarders—cooking and cleaning for prospectors on their way west in the Dakota Land Rush. Though somewhat profitable, this lifestyle was both mentally and physically tiring for Caroline. In spite of every hardship, Caroline’s goodness always prevailed. She helped everyone, giving her time, resources, skills, and knowledge without expectation of compensation. Time after time, she gave from her need and not her excess. She was a gentle and patient woman with a desire to grow her young daughters into proper ladies. Mary and Carrie were more like their mother. Laura was more adventurous, impulsive, outspoken, and opinionated—like her father. Over the winter, Charles had his land picked out, so when it was time to file a claim in 1800, he was ready. He also bought two corner lots in town. That summer, he built a house on the land and store/office in town where they could live in the colder months. 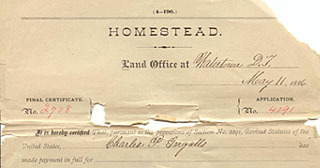 Charles Ingalls’ Homestead Certificate, Records of the Bureau of Land Management. 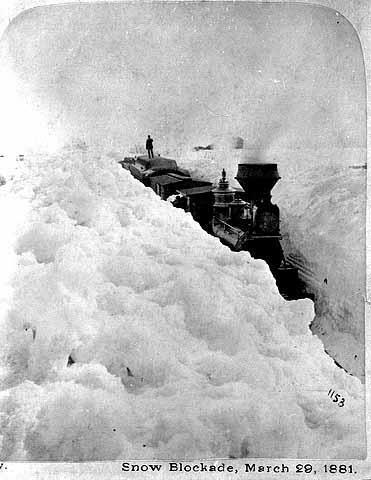 History shows that Laura’s account of the winter of 1880-81 was strikingly accurate. 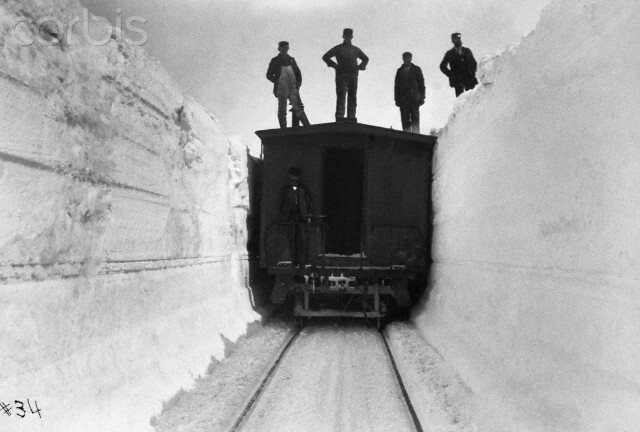 Hundreds of people across the American Midwest died of exposure and starvation that year when six months of relentless blizzards prevented supply trains from reaching their destinations. It was, but for the grace of God and Caroline’s ingenuity, that the Ingalls family survived at all. Caroline called upon the lessons she’d learned in her childhood after her father’s death—thriftiness, independence, creativity, and mental fortitude to lead her family through the winter. She stayed positive through six bitterly cold months as her family teetered on the brink of starvation. One “detail” omitted from Laura’s fictional account was the fact that the family wasn’t alone. In April, George Masters, their friends’ son from Walnut Grove, was working his way west. He begged Caroline to take in his pregnant wife, Maggie, until their baby was born. George’s parents disapproved of his marriage, and when Maggie arrived, Caroline saw why. She’d obviously been pregnant longer than they’d been married. With no other alternative (and feeling indebted to the Masters family), Caroline graciously took her in for the summer and helped deliver the baby. When George returned in the fall, he put off leaving until it was too late for them to safely leave. Three extra people might not have been too bad if either of them been willing too pull their own weight. George and Maggie made the ordeal exponentially worse by behaving like honored guests. It’s a credit to Caroline’s character that they parted on friendly terms. 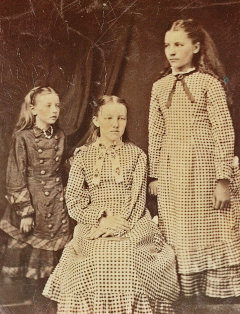 Photograph of Carrie, Mary, and Laura Ingalls taken in Desmet following the winter of 1880-1881. With the exception of The Long Winter, Caroline never emerged in her daughter’s books as a hero. Instead, she was more of the girls’ disciplinarian—especially to Laura. Though Charles definitely wore the pants in the family, the fact that Caroline had some control over those pants became increasingly apparent—especially after the move to Dakota Territory. When he started making noise about Oregon, Caroline put her foot down. She would not go. In the spring, they returned to the farm and Caroline resumed her routine of endless household tasks. Though they struggled to pay their bills, Caroline was adamant that Mary attend the blind college, and the family would do whatever necessary to save money for her tuition. No matter the circumstance, their savings would not be touched. In all likelihood, Mary’s tuition was subsidized, but the family would’ve been responsible for travel and other expenses. 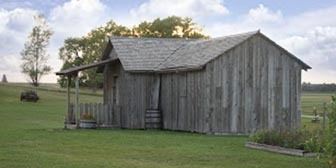 Replica of the Ingalls’ Family Homestead near Desmet, South Dakota. 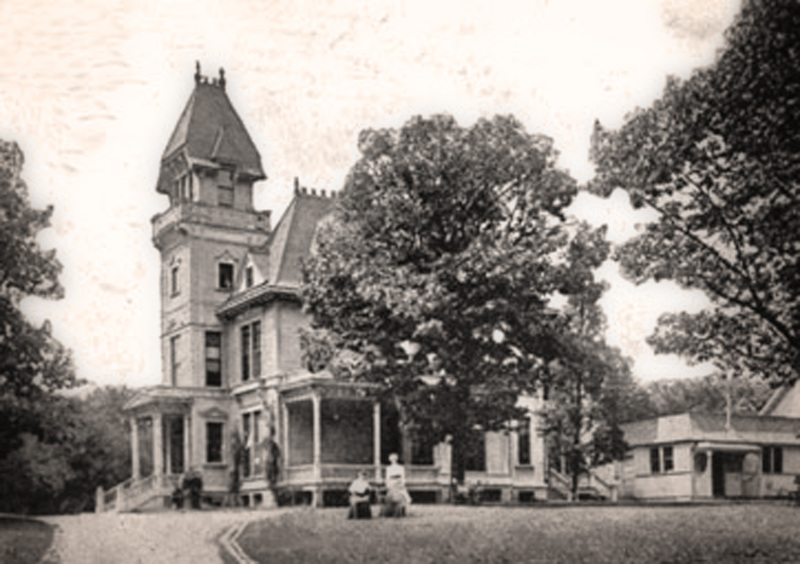 In November of 1881, Charles and Caroline accompanied 16-year old Mary to the Iowa College for the Blind. Although she’d always been independent, Caroline was amazed by her daughter’s progress after only a few months. Charles went to work on the farm, and for the next few years, Laura took an active role beside him. Although it wasn’t traditional “women’s work,” and Caroline would’ve preferred something more genteel for her daughter, there were no sons to help, and her tomboy daughter genuinely enjoyed farm life. 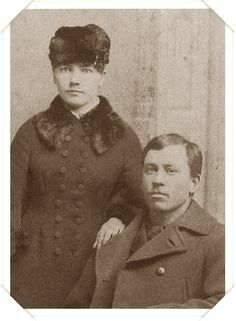 Photograph of Laura Ingalls and Almanzo Wilder shortly after their wedding in 1885. Laura started seeing Almanzo Wilder, and by mid-1885, they were engaged. 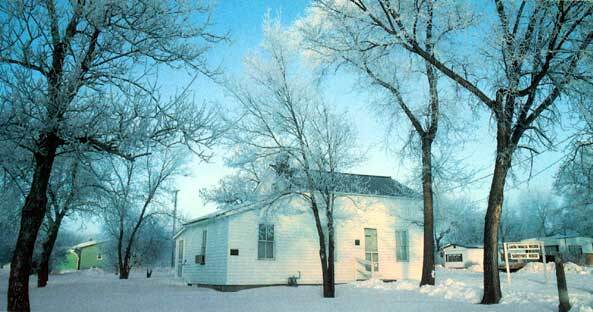 Late in the summer, Almanzo learned that his mother and sister were planning a church wedding and reception. The couple didn’t want a big affair, and the Ingalls couldn’t afford one. Since her daughter’s engagement announcement, Caroline had been sewing Laura’s trousseau. To avoid the unwanted plans, Laura and Almanzo were married in the Rev Brown’s parlor with only two friends, and no family, as witnesses. After the short ceremony, Caroline had a celebratory luncheon ready. Having lost his right-hand-(wo)man when his daughter married, farm life became too much for Charles do alone. Charles built a home in town with Mary’s specific needs in mind. In 1887, they sold the homestead and moved into town permanently. Caroline attended to her daughter’s labor and delivery when she gave birth to baby Rose in 1886. She stayed on for a few days to take care of her daughter and granddaughter. Although Caroline and her daughter were often at loggerheads over feminine behavior, it must’ve been a comfort to Laura to have her mother there to help in her first days as a new mom. It wasn’t the last time Grandma Caroline would care for Rose. When Laura and Almanzo came down with diphtheria, Rose moved in with the Ingalls until her parents could recover. As Caroline had always done, she kept a stiff upper lip through it all, not letting anyone see the fear she must have been feeling at the thought of losing her daughter. Caroline with her family in what was the last photograph of them all together as a family. Caroline is seated at the left. In 1889, Mary returned to DeSmet to live with her parents. Carrie, now nineteen, was contributing to the family’s income, and twelve-year old Grace was in school. When Laura went into labor with her second baby, Caroline attended to the birth. Her grandson lived for a month. 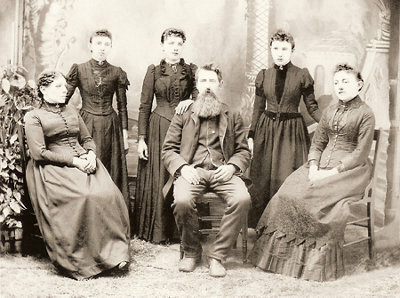 Shortly thereafter, the Wilders lost everything when their house burned to the ground, and the family of three, with nothing but the clothes on their backs, sought refuge with the Ingalls. Broken, the Wilders decided to quit South Dakota. They lost their claim, sold their sheep, and drove their livestock out of DeSmet. Caroline watched as her daughter and only grandchild left town, and she wondered if she’d ever see them again. 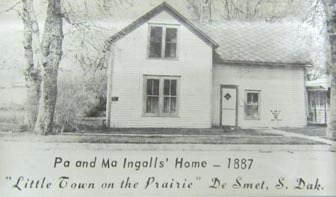 I’ve given photo credit where I can– many of the Ingalls family photographs have been reproduced and posted online so many times that the original source was difficult to track down. I tried to make sure that appropriate credit was given. Next Next post: I would’ve put a bird on it, but I couldn’t find the right address. Isn’t it staggering to consider how capricious the fates could be, and how quickly families could go from prosperous to bankrupt? Your post has inspired even more respect for these two remarkable women – and even more gratitude that I was lucky enough to be born in the age of antibiotics and life insurance. Thank you for another fascinating chapter in this saga, Julie! Thanks!!! This one took SO MUCH out of me! It was hard to write, and even harder to let go of because I know that in 2 days, I’ll find something else!!! The next decade is tough too, but for totally different reasons! Definitely a fun project! And I just love that others are enjoying it too! Thank you!!! Julie, you are feeding my love of history! Like you I was a avid Little House fan, but about a decade ago I did a bit of research on where the Ingalls family ended up and it was so distressing to see them trudge from one state to the next to catch a break that never came. Very sad! To say my family caught a lucky break is an understatement. After my grandmother passed a couple summers ago we found a huge amount of family history on the floor of her closet. She had done all the research to join the Daughters of the Confederacy (my grandfather would have been in the Sons of the Union 🙂 including confirming family ties to Julia Dent, a southern lady who married Gen. US Grant. Part of this stash included a memoir written by my Great-grandmother about her family’s wagon moves around the state starting about 1890. She was born near Ft. Worth then moved near Abilene. The were party to founding a new town. Completely exciting for this history-nerd! Next time I am at the parent’s house I will try to get my hands on it again and type it up. OMG that’s so exciting! Having firsthand information of wagon travel is absolutely amazing! I am dragging my feet with my DAR paperwork (Daughters of the American Revolution) and I’ve found lines to both the Confederacy and the Union. If only I had some Texas roots!!!! You need to preserve all that stuff and make sure it outlives you and survives future generations. I just love how many people have been touched by these stories and prompted to dig into their own histories. It’s pretty awesome.